In my hair's natural state, it's in between the TWA and beyond. Back in the spring and early summer, wash n go's were my favorite styles but as the summer burned on, fairy knots started paying me lots of visits and detangling started to become a mutha. I just have coily hair that likes to coil on itself. I realized then that I had to wear hairstyles to stretch my hair to thwart the uninvited pests. I started getting into braid outs and found that if you re-braided your hair every night by the 3rd day, your hair was very stretched, fairy knots were practically a thing of the past and your styling options increased. Just last week, on a 3rd day braid out, I was playing with my hair and combed (I applied moisturizer to my hair when I did this so that I didn't have major breakage) all the waves out. Viola! 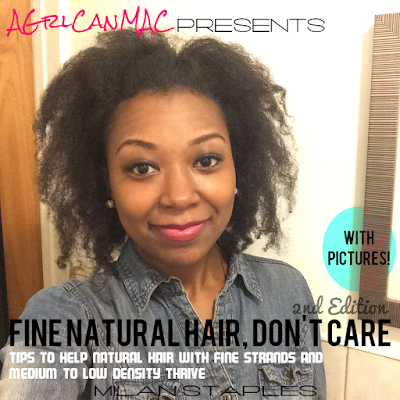 Heat free, stretched hair! 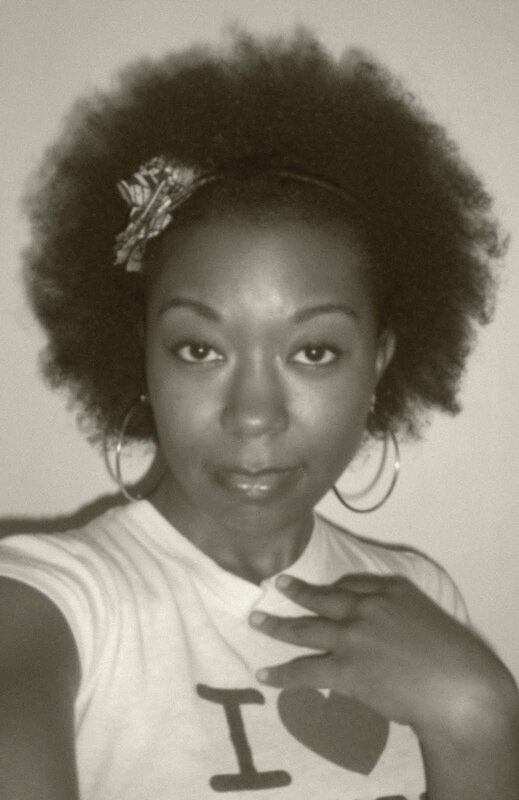 The pic above is how big my fro is, at the moment, when I do this. Oh yeah, HAPPY TURKEY DAY! Enjoy the great food and be thankful for your life, family and friends. ok so your hair looks ah-maze-ZING!! as cheesy as it sounds: you go girl werrrrk!! I do this method all the time, I rebraid my hair everynight and make sure to moisturize. It's a great way to prevent tangles and knots while stretching the hair. This post was right on time. I'm currently struggling with fairy knots and its getting really frustrating and with the weather changing its getting worse. Thanks for the advice...hopefully i'll be able to keep a good number of knots away.